Lisa Derx was introduced to Best Buddies while working as an assistant to Eunice Kennedy Shriver, Founder of Special Olympics. In April 1990, Best Buddies Chairman Anthony K. Shriver hired Lisa for what he said was a temporary, six-week job organizing the first Best Buddies Leadership Conference. Somewhere in the midst of writing the Best Buddies Colleges Handbook, coordinating travel for all attendees, organizing the agenda and soliciting food donations, Anthony offered and Lisa accepted a permanent position with Best Buddies. In the ensuing years, Lisa’s career at Best Buddies has included stints as Special Events Director, Development Director, and Executive Director. During her tenure, Best Buddies has grown from 33 chapters to more than 2,400 worldwide. Lisa has served in numerous leadership capacities, from creating volunteer policies, staff handbooks, and training materials, to organizing national events to securing funds from private foundations, the Federal government, state legislatures, and municipal governments, as well as individual donors and merchandise sales. In 1998, Lisa left the Miami headquarters of Best Buddies to serve as Chief Development Officer for Who Cares Magazine, a publication for nonprofit leaders and as a consultant for In2Books, a reading pen pal program for at-risk elementary school students, in Washington, D.C.
Lisa returned to Best Buddies in 1999 to launch e-Buddies, an email friendship program that has served more than 15,000 children and adults. 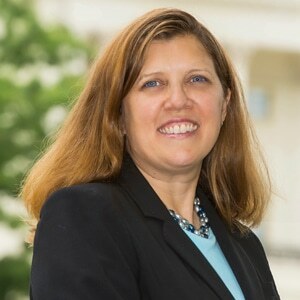 Lisa currently serves as Vice President for Government Relations, leading a team that secures a minimum of $6 million annually in Federal, state, and local funds to support the Best Buddies mission of inclusion for children and adults with intellectual and developmental disabilities. Lisa is a member of the Maryland Developmental Disabilities Council, a founding member of the Virginia Tech English Department’s Distinguished Alumni Board, a past board member for the National Society of Fund Raising Executives (Miami Chapter), a founding board member of the Best Buddies Virginia Advisory Board, and a former chairman of the Best Buddies Florida Advisory Board. A graduate of Virginia Tech, Lisa holds a B.A. in English and Political Science. She lives in Dayton, Maryland, with her husband, Dan Miles.